I'm not typically one for novelists' Introductions, particularly when they seek to explain, but I readily dove into that appended to The British Barbarians. This had everything to do with what I knew of its history. Allen wrote the novel in 1889, sent it to Andrew Chatto – he of Chatto & Windus – and was promptly advised that it be put in a drawer. 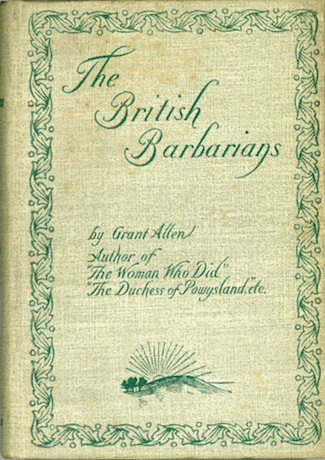 The publisher was certain that The British Barbarians would poison Allen's career. I won't say he was wrong. In all likelihood, we'd have never seen The British Barbarians were it not for The Woman Who Did. Published just months earlier, Allen's story of a clergyman's daughter who dares raise the child she bore out of wedlock was one of the great Victorian succès de scandal. 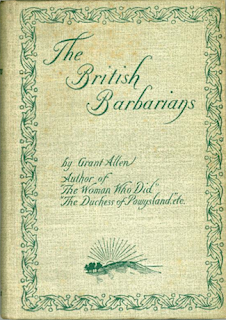 With The British Barbarians, publisher John Lane looked to replicate sales. I have never said a thing I did not think; but I have sometimes had to abstain from saying many things I did think. When I wished to purvey strong meat for men, I was condemned to provide milk for babes. This is Allen liberated, if only briefly. 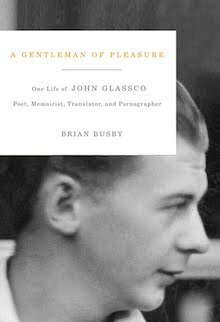 In Lane, he believed he'd found a publisher who "would consent to aid me in introducing to the world what I thought most important for it." Wait, there's more: "I propose in future to add the words, 'A Hill-top Novel,' to every one of my stories which I write of my own accord, simply and solely for the sake of embodying and enforcing my own opinions." All this builds the promise of a tiresome read, yet I found myself enjoying The British Barbarians every bit as much as The Devil's Die, What's Bred in the Bone, Michael's Crag and other older non-Hill-top novels. Allen's mouthpiece in The British Barbarians is Bertram Ingledew, a mystery man who appears, quite literally, out of nowhere in the comfortable, leafy London suburb of Brackenhurst. Civil servant Philip Christy is the first to encounter the stranger. Impressed by Bertram's "nobility of gait and bearing", he provides assistance in securing lodgings at Miss Blake's Furnished Apartments for Families and Gentlemen. Bertram soon becomes a fixture in not only Philip's life, but that of his beautiful married sister, Frida Monteith. Both help Bertram acclimatize himself to his surroundings. Good thing, too, because this self-described "Alien" is very much a fish out of water. On his second morning in Brackenhurst, a Sunday, Bertram shows up at the Monteith home wearing the very same suit as the previous day. Philip suggests that his guest avoid going out as his clothing might attract attention. "Now, that 's awfully kind of you. But it's curious, as well; for two or three people passed my window last night, all Englishmen, as I judged, and all with suits almost exactly like this one – which was copied, as I told you, from an English model. "Last night; oh, yes," Philip answered. "Last night was Saturday; that makes all the difference. The suit's right enough in its way, of course, – very neat and gentlemanly; but not for Sunday. You're expected on Sundays to put on a black coat and waistcoat, you know, like the ones I'm wearing." Bertram's countenance fell. "And if I'm seen in the street like this," he asked, "will they do anything to me? Will the guardians of the peace – the police, I mean – arrest me?" Frida laughed a bright little laugh of genuine amusement. "Oh, dear, no," she said merrily; "it isn't an affair of police at all; not so serious as that: it's only a matter of respectability." "I see," Bertram answered. "Respectability's a religious or popular, not an official or governmental, taboo. I quite understand you. But those are often the most dangerous sort. Will the people in the street, who adore Respectability, be likely to attack me or mob me for disrespect to their fetich?" "Your taboos, I foresee, will prove a most valuable and illustrative study." "I beg your pardon," Philip interposed stiffly, now put upon his mettle. "We have no taboos at all in England. You're misled, no doubt, by a mere playful façon de parley, which society indulges in. England, you must remember, is a civilised country, and taboos are institutions that belong to the lowest and most degraded savages." But Bertram Ingledew gazed at him in the blankest astonishment. "No taboos!" he exclaimed, taken aback. "Why, I've read of hundreds. Among nomological students, England has always been regarded with the greatest interest as the home and centre of the highest and most evolved taboo development. And you yourself," he added with a courteous little bow, "have already supplied me with quite half a dozen." Just who is this Bertram Ingledew fellow? The question frustrates Philip so that he can't help but push against the boundaries of propriety in pursuit of the answer. Bertram's claim to be "Secretary of a Nomological Society at home" fails to satisfy for the simple reason that he won't reveal just where "home" is. 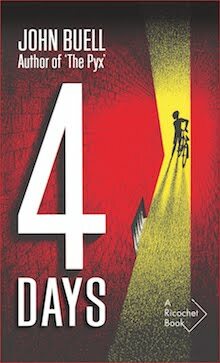 The answer – hinted at early early in the novel, and revealed at its climax – is that Bertram is a time traveller from the 25th century come to study the taboos of primitive societies. What I've yet to see recognized in writings on The British Barbarians – in fairness, there's not much – is the obvious fact that the author himself was not of fin de siecle England. Alien Allen was born, raised and educated in Kingston, Ontario. The myriad of taboos in his Canada would not have been markedly different from those of England, but what little distance there was surely provided perspective and inspiration. The British Barbarians enjoyed three printings, but sales were no match for The Woman Who Did. 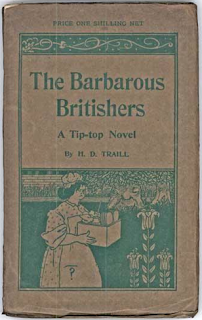 John Lane tried to stoke the fire by with a parody, The Barbarous Britishers: A Tip-top Novel, by journalist and literary editor Henry Duff Traill. 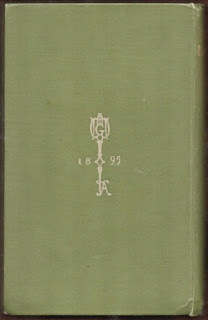 What Allen thought of this is unknown, though it is worth noting that he never placed another book with the publisher. 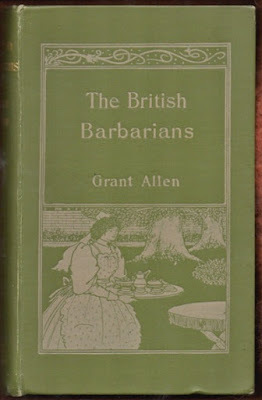 Andrew Chatto was probably right in thinking that The British Barbarians would harm Allen's career. It's hard to say for certain; Allen died not four years after publication. There were no more "Hill-top" novels. Chatto rejected Allen's intended follow-up, The Finger Post. The work is lost, presumably destroyed. Would that I could go back in time to rescue it. This is a Hill-top Novel. I dedicate it to all those who have heart enough, brain enough, and soul enough to understand it. Object: A very attractive, well-produced hardcover issued sans jacket. 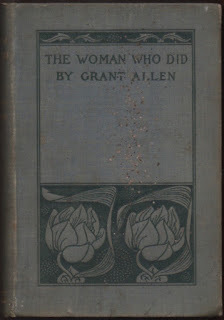 Cover and frontispiece are by Aubrey Beardsley. My Near Fine copy is a second printing, won for 99p from a British bookseller in an ebay auction this November past. 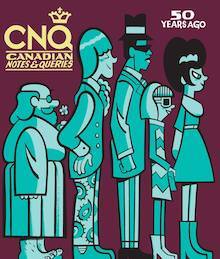 Not a dozen copies are listed for sale online. Descriptions are vague, but from what I've been able to determine at least four are true firsts. They're priced between US$150 and US$350. Condition is not a factor. The less common American first (right) published by Putnam in 1895 can be had for as little as US$45 (from "the personal collection of noted Atlantean scholar Henry M. Eichner"). Curiously, British spellings are maintained, but Frida's name is spelled "Freda". 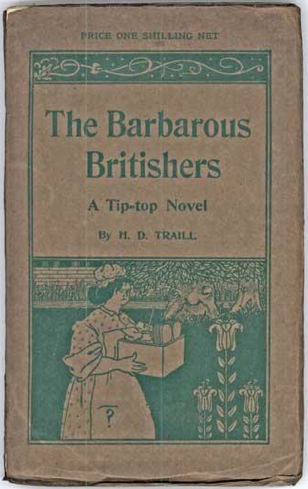 The British Barbarians returned to print in 1904, then reappeared briefly seven decades later. 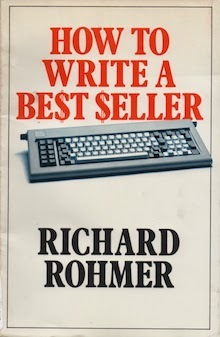 It has been out of print ever since, though it can be read online here thanks to the Internet Archive. As always purveyors of print on demand are to be ignored. Good beginning: "The time was Saturday afternoon; the place was Surrey; the person of the drama was Philip Christy." Cuts to the quick, doesn't it. "Respectability's a religious or popular, not an official or governmental, taboo. I quite understand you. But those are often the most dangerous sort." 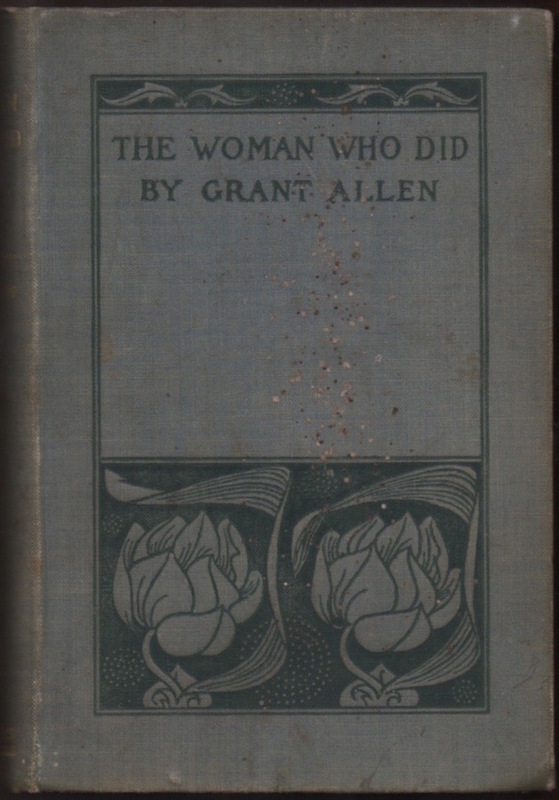 Around the time Allen was writing "respectability" - especially in dress - was something of an obsession among writers. Gissing wrote a story where a man's hat is blown off the top of a tram. To replace it he has to take to fraud and ends up in gaol. Wells's scientist heroes are nagged about the unsuitability of their dress by their wives. There were Rational Clothing groups of one kind or other. Look up "straw hat day" for a particular example - people felt obliged to wear panamas or boaters between particular dates regardless of the actaul weather. Funny that you mention Straw Hat Day. I had no idea it existed until I came across a reference to an Anti-Straw Hat Day a few years back. This had to do - not really - with my research into Arthur Stringer's The City in Peril. Allen wrote a number of good ghost stories and was an early science fiction writer. He was especially known for a good disaster story, "The Thames Valley Catastrophe." There is an interesting article on him in the online Science Fiction Encyclopedia. I'm struck by how often elements of science fiction creep into novels that we might not otherwise consider of the genre. For Maimie's Sake, a favourite, features the development of a silent explosive. In The Devil's Die we witness a radical breakthrough in bacteriology. Pros - Good points on how stupid some customs are. Humorous when the man from the future gets one over on someone, or if the uptight brother is made fun of. Cons - Author doesn't seem to like Scottish people, is a bit odd or old fashioned himself about women. How true. Of course, the women themselves are a bit old fashioned. It is the 19th century, after all. 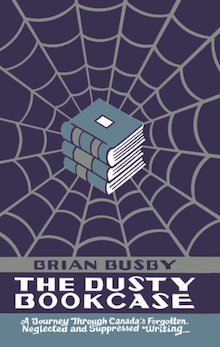 I'm intrigued by your great review/commentary; I hope I can find a copy here in my libraries on the U.S. Gulf coast. All the best (and a belated Happy New Year's greeting) from Crime Classics! Wishing you the best of luck, Tim. The real struggle, I think, will be in finding a circulating copy. In Richard Mabey's biography of Flora Thompson (nee Timms), Dreams of the Good Life, there's quite a bit about the "Hilltop" quasi-colony of writers on the Surrey/Hampshire borders, where Grant Allen was living when The Woman Who Did and The British Barbarians appeared. Flora Timms was then the young postmistress in nearby Grayshott. There's a para about the local reception of these two Allen titles in this talk by a Thompson specialist.